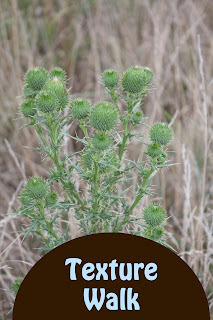 It was pretty cool out in the mornings this week, so we headed out to the walking trail to look for different textures. I forgot to bring buckets for the girls, so we just used plastic bags from the van to collect various objects along the way. We found hard, rough rocks as well as hard smooth rocks, soft leaves, smooth leaves, bumpy berries, fluffy weeds, and a variety of seed pods. Bria even collected some sand in her bag. 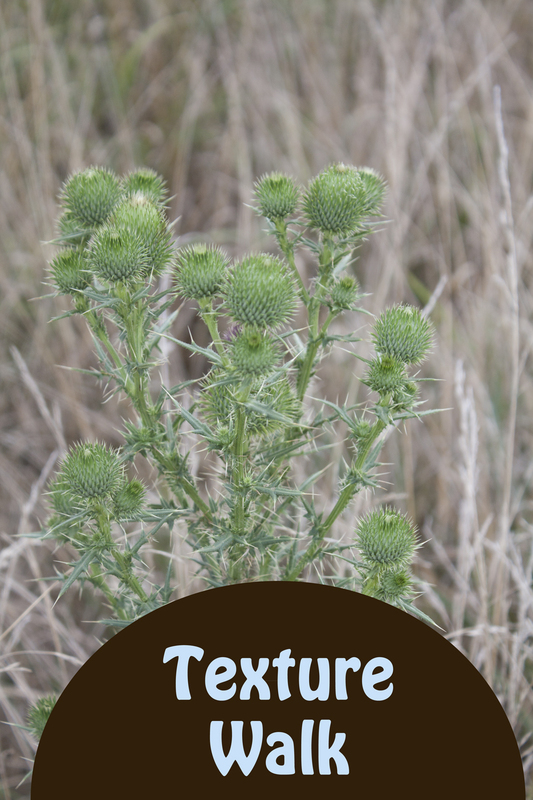 Some things we found we couldn't take with us, like prickly thistles. We also found a cicada flying around. It reminded me of the terrible amount we had last year thanks to the 13 year cicadas returning. The one we found this year was just the plain old cicada we have every year though. The cicada we found this year. Last year on my poor plant. It had to live inside after I found all these cicadas on it. See the color difference in the 13 year cicadas vs the normal ones. Nadia thought the cicadas should love each other. More cicadas from last year. Once the girls were content with the amount of things they had found we headed home. We got out 3 little dishes of paint and dipped each object into it and made a print of it. Unfortunately, a lot of the texture was lost in the paint. I think thinner paint would have worked better; especially with little kids who use a lot of paint anyhow.